I made two more wreaths for the VSAS Holiday Craft Show. 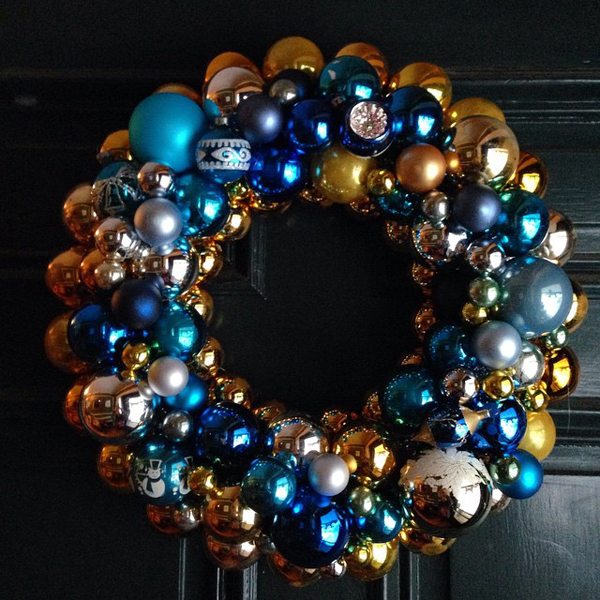 This one is called Blue Christmas. 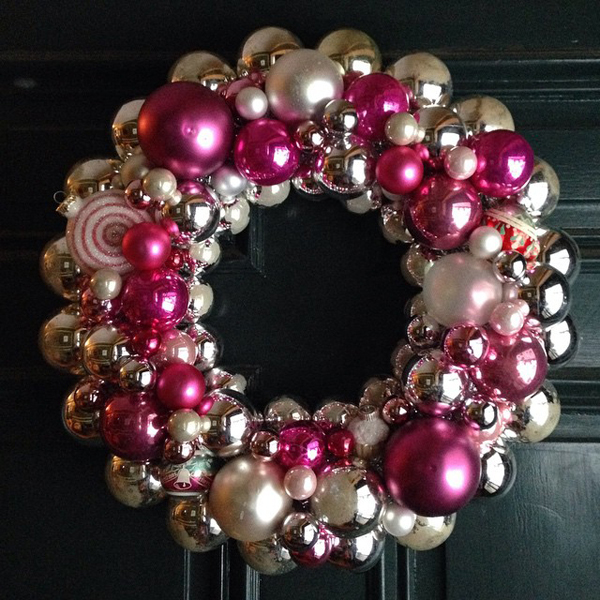 I always wanted to make a pink wreath. I was stuck on the name but folks on Twitter and Instagram came up with Sugar Plum. Perfect! It's been fun naming these wreaths. Like naming nail polish! Oh, I love these! I'll have to get in gear and make one! You're so creative!! I really like that there's a couple of special ornaments and so many ornament sizes on your wreaths.